The popularity of sports in all of its forms continues to steadily increase. We live in an age where sport became a business. Winning or losing has a tremendous impact; it is more than just pride but also an important financial and social aspect. Return-to-play decisions are often difficult and complex. These will be better understood and accepted if all stakeholders are properly informed and considered. 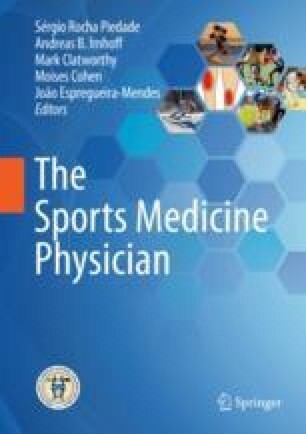 The athlete’s main goal is to return to play as fast and as safe to preinjury levels of competition, without fear or increase risk of reinjury and without long-term comorbidities. For a successful return to performance, athletes need to fulfill specific objective criteria according to the injury or sports type, regain the athletic conditioning, and be psychologically ready. In this chapter, we cluster and standardize the return-to-play process in all its dimensions, providing injury-specific objective data.